Contact via form on CONTACT page. 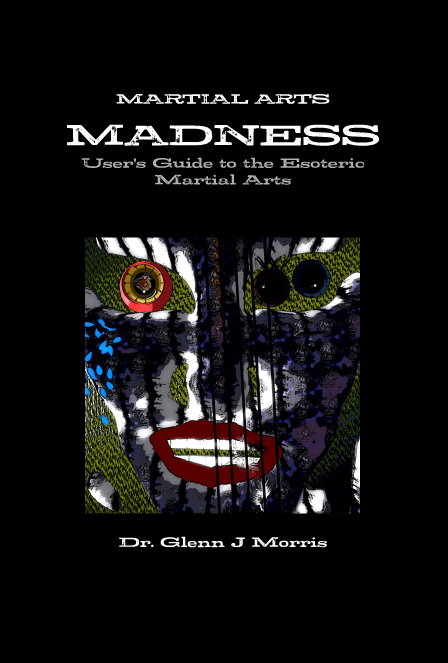 Dr. Glenn Morris was an author, educator, researcher, industrial consultant and martial arts instructor. He developed the art of Hoshin Roshi Ryu which is a combination of the wide range of meditations, martial arts experience and healing arts he studied for over 40 years. Dr. Morris was a master instructor of Tien Tao Wei Shen Chi Kung , Nihon Karate Jutsu and Bujinkan Taijutsu. He also studied Jujutsu, Judo, Boxing, Wrestling, Okinawan Karate, Savate and various forms of Kung Fu. Dr. Morris also pursued in depth study of various subjects pertaining to health and healing including Humanistic Psychology, bodywork, Gestalt Therapy, Rubenfeld Synergy, Chinese Medicine, meditation and hypnosis. President – GJM Leadership Development Services, Inc.
Dr. Morris passed away on April 1, 2006. Many who had the good fortune to meet and know him were touched by his gregarious personality, exceptional intelligence and unique sense of humor. narcissism which ensnare practitioners, Glenn Morris introduces us to "martial arts maddness", a set of syndromes that lie in wait for aspiring Practitioners. While spinning a few outrageous yarns of his own, he brings common sense to the "wild tales" martial artists often weave around their chi experiences. Quantum Crawfish Bisque for the Clueless Soul is Dr. Glenn Morris' last book prior to his passing into the void on April 1, 2006. Building on the foundation of his other books, Quantum Crawfish Bisque for the Clueless Soul acts as a workbook to guide you through the path of self actualization. A must have for anyone. Join Glenn J Morris Kiva Lending Team Today!